Name meaning: Debbie means “a bee” in Hebrew. History: She was originally from Kota Marudu town and sold to a buyer in Tuaran town. She was surrendered and sent directly to BSBCC. Personality: Debbie deserves a chance to experience life as a wild sun bear! She likes to be solitary in the forest. 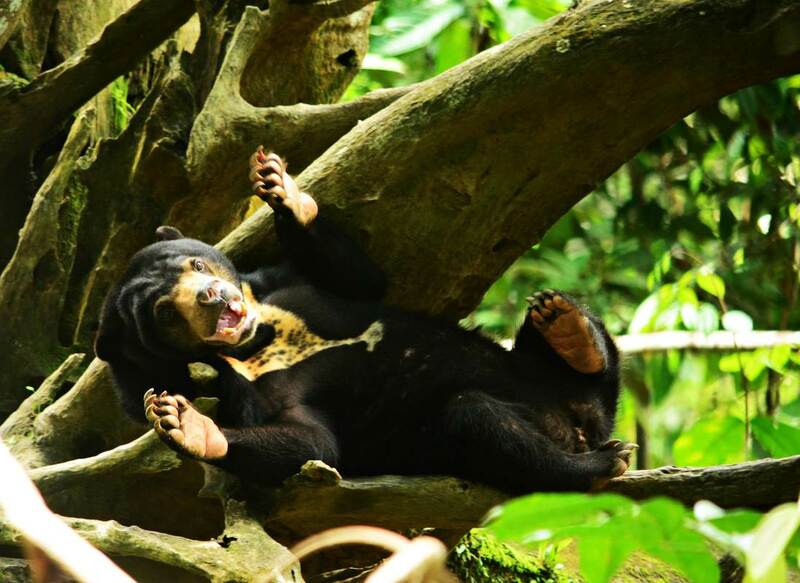 Debbie prefers spending the entire day in the forest, roaming round and round as if to celebrate her freedom as a wild bear soon together with Ah Bui, Rungus and Ah Lun! Every day Debbie continues to gain strength and competency in the forest. She is more than happy to chill out! She is eager to show that her world is in the home she belongs - Forest. Debbie is a superb climber and an independent bear. Her well little muscled body enables her to be an excellent tree canopy climber. Although she is agile, she is now one of the fastest tree climbers and good at building sleeping nests to make herself comfortable in the forest! She has made the perfect tree nest. This proves Debbie is a potential candidate for reintroduction into the wild. In exciting news, after being rehabilitated for six years. 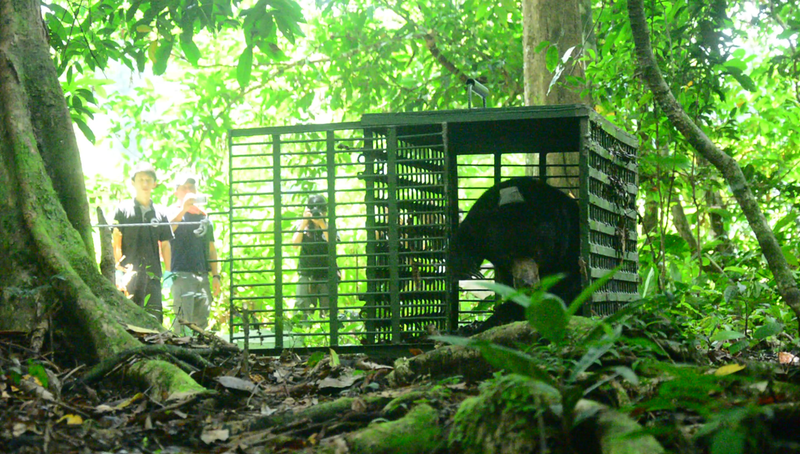 We are delighted to report that we have successfully released our fourth release candidate,Debbie to the core area of Tabin Wildlife Reserve on the 7th of March, 2018. Debbie has grown to be the perfect candidate for release. She is now able to return to a life of freedom! Identifying mark or trait: Has a wine glass shaped chest mark.